This tunnel is a bit of a mystery. 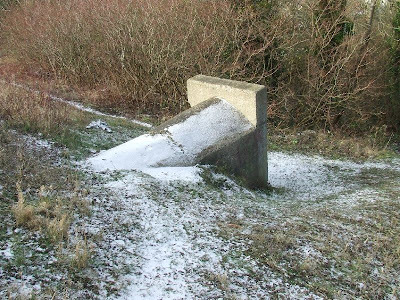 It is located some three quarters up a steep hillside above Coombe Valley and runs through the hillside to Noah's Ark Road. 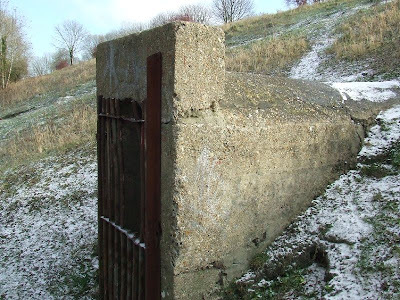 It first appears similar to an air raid shelter in construction, and there are a number of others in the area behind the hospital and Grammar School, but it is very narrow, so this is quite unlikely. 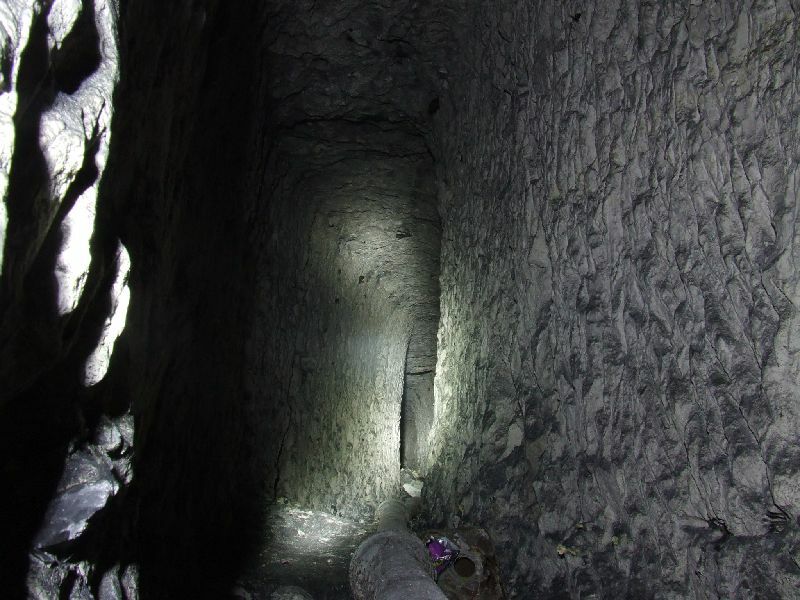 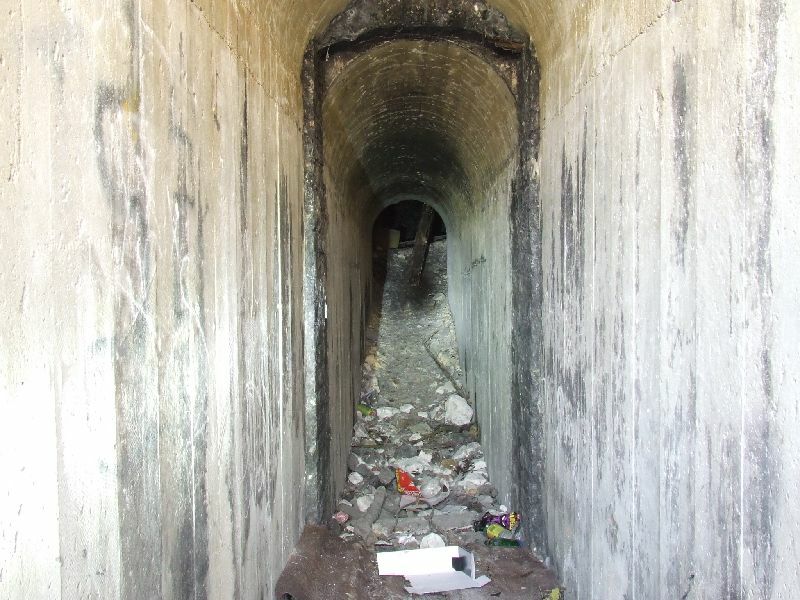 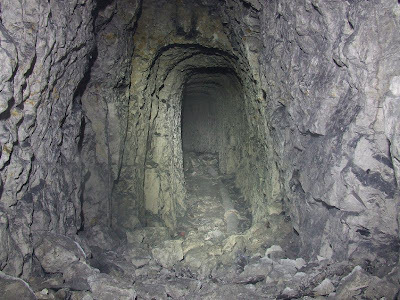 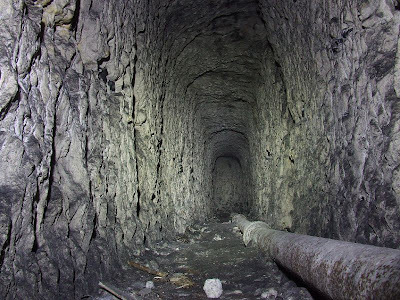 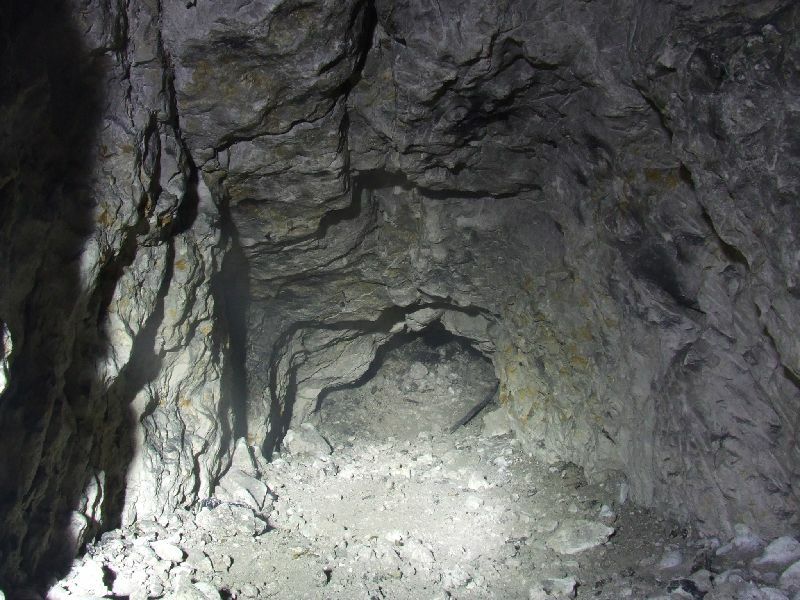 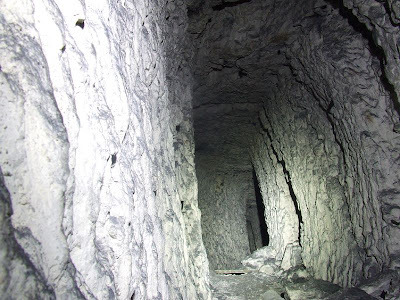 A pipe runs through the tunnel, which may be a clue to its origin, and a similar, but much wider tunnel exists further down the road, which was built to carry a water main. 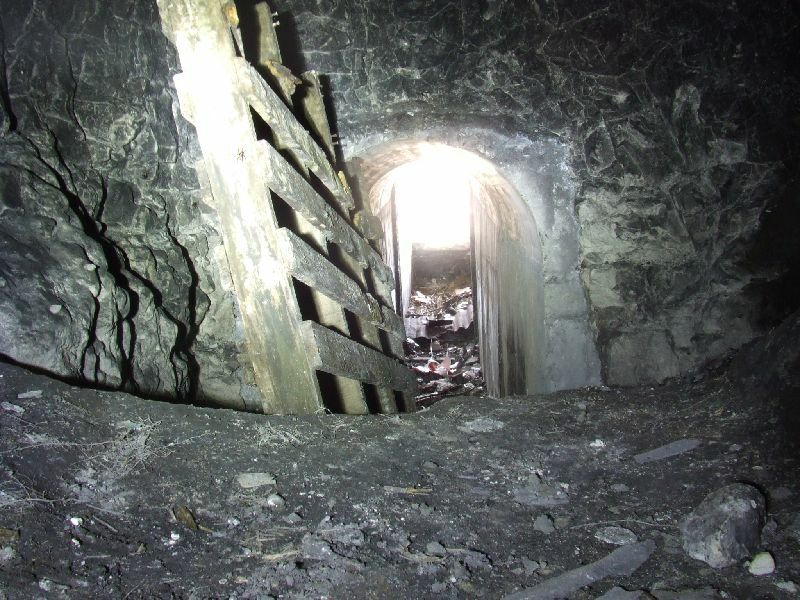 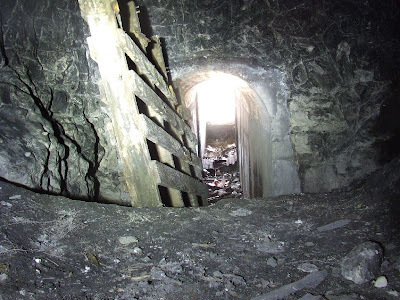 The tunnel begins lined in concrete, for about 10ft, then there is a roof fall, which can be crossed and the tunnel continues for about 200ft unlined and then curves twice and continues until a collapse which blocks further access. 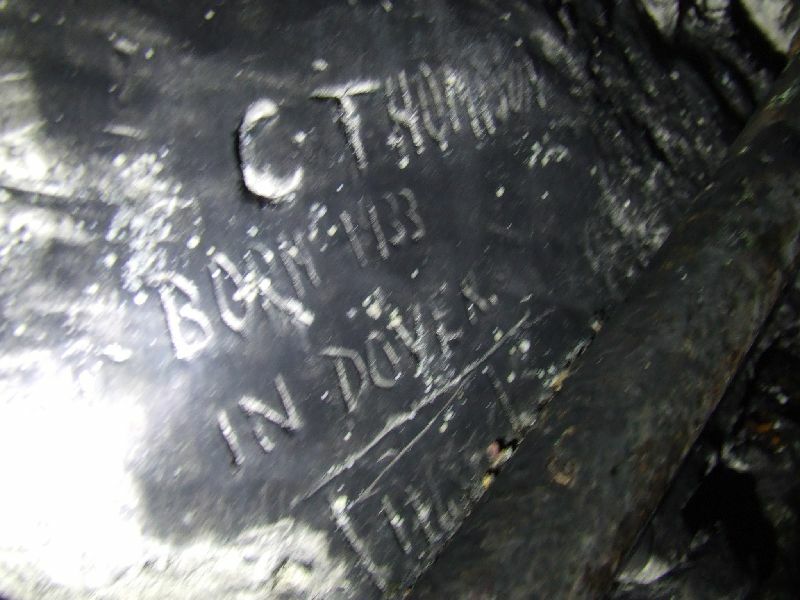 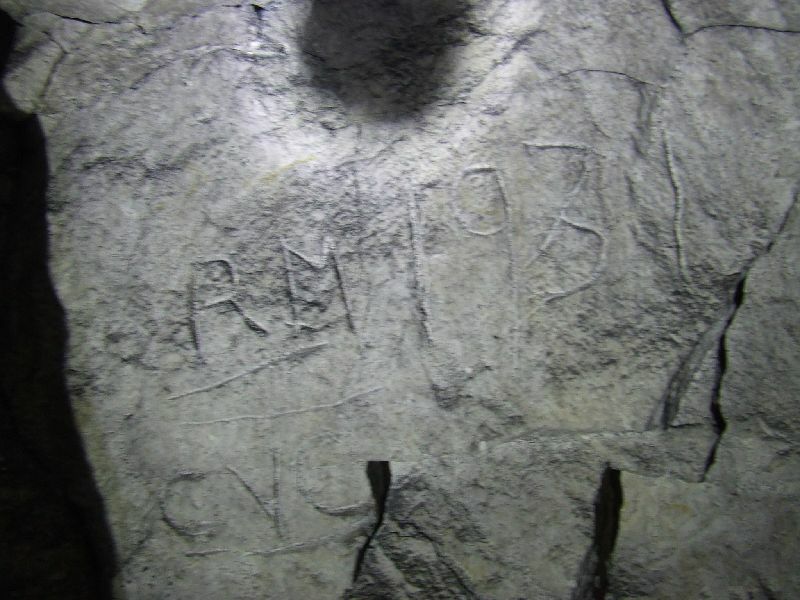 Graffiti in the tunnel dates back to the 1930s, and there is a great deal from the 1950s right through to some modern etchings.